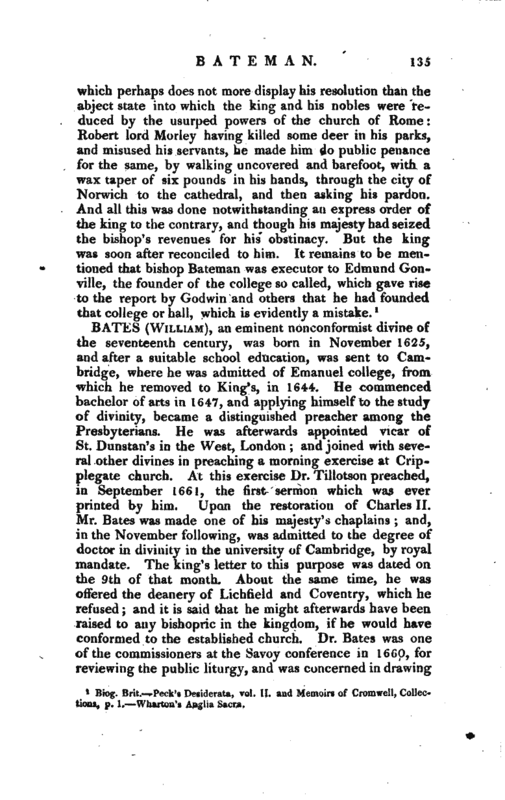 When the parliament sat at Oxford, during the plague in London, they passed an act to oblige the nonconformists to take an oath, “That it was not lawful, upon any pretence whatsoever, to take arms against the king; and that they abhorred the treacherous position of taking arms by his authority against his person, or against those that are commissioned by him, in pursuance of such commission; and that they would not at any time endeavour any alteration in the government of church and state.” Those who refused to take this oath were to be restrained from coming (except upon the road) wjthin five miles of any city or corporation, or any place which sent burgesses to parliament. The ministers finding the pressure of the act very great, studied how to take the oath lawfully. 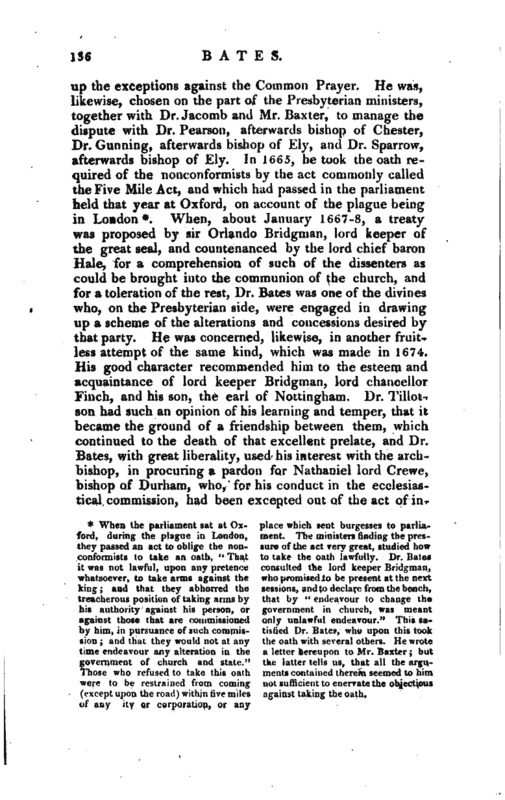 Dr. Bates consulted the lord keeper Bridgman, who promised to be present at the next sessions, and to declare from the bench, that by “endeavour to change the government in church, was meant only unlawful endeavour.” This satisfied Dr. Bates, who upon this took the oath with several others. 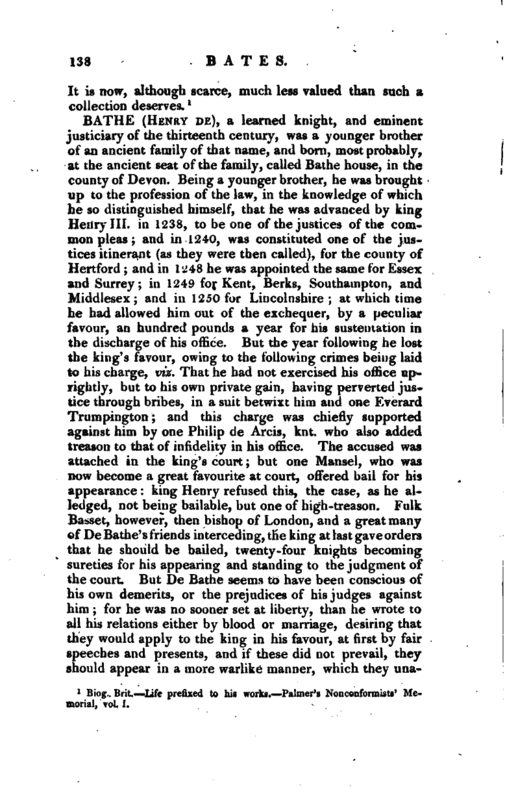 He wrote a letter thereupon to Mr. Baxter; but the latter tells us, that all the argunients contained thereto seemed to him not sufficient to enervate the objections against taking the oath. Biog. Brit. Life prefixed to his wqrks. 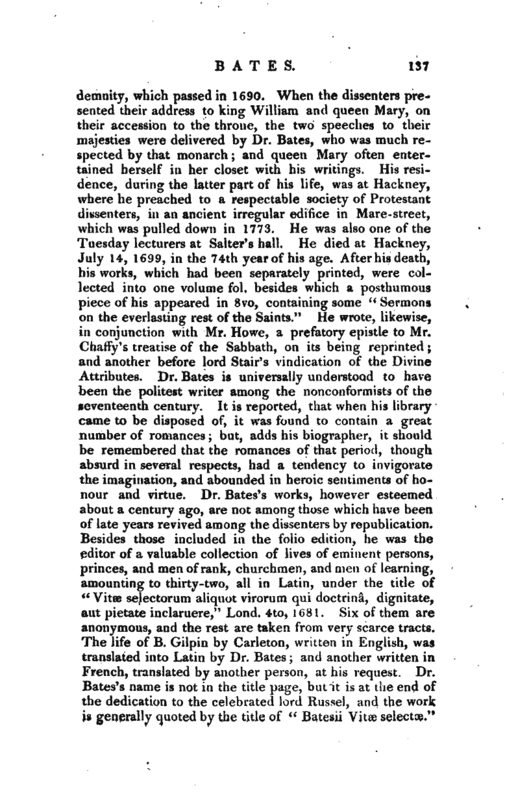 Palmer’s Nonconformists’ Me morial, vol. I.